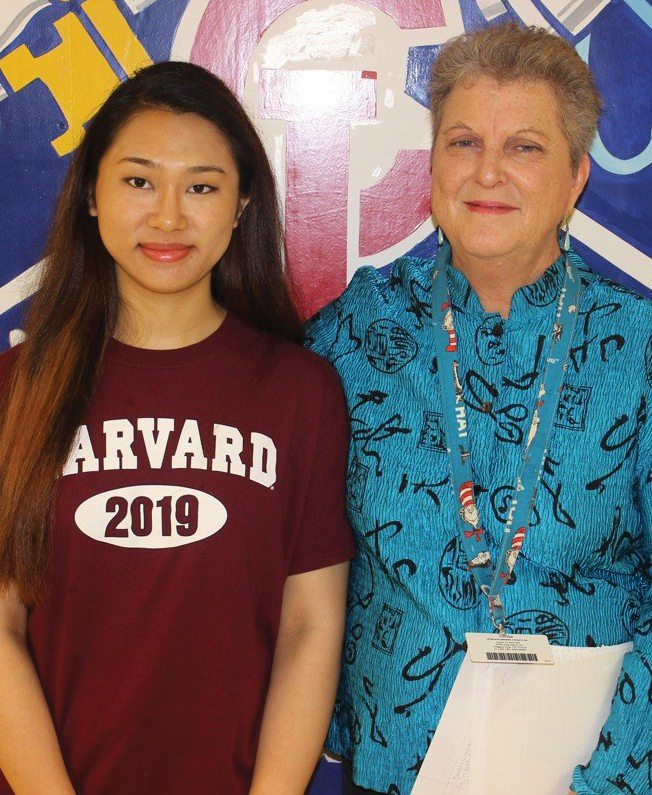 Presidential Scholar Denise Kwong receives congratulations from Clear Lake High School teacher Susan Heep, who the high school senior credits as her most influential teacher. Clear Lake High valedictorian Denise Kwong has been named a 2015 U.S. Presidential Scholar, Clear Creek ISD announced as Kwong was busy making graduation plans. Only 141 seniors earned this honor with one young man and one young woman chosen from each state, the District of Columbia and Puerto Rico, and from U.S. families living abroad, as well as 15 chosen at-large and 20 U.S. Presidential Scholars in the Arts. Kwong is one of three Presidential Scholars selected from Texas. Earlier this spring, Kwong was honored by the Clear Creek Board of Trustees for making a perfect score of 36 on the ACT college admissions exam. The high school senior credits her most influential teacher as Susan Heep, a Clear Lake High World History and AP European History teacher. Kwong is part of the 51st class of U.S. Presidential Scholars. A ceremony will be held June 21 in Washington D.C. where each honoree will receive a Presidential Scholar Medallion.